Hey there, hope you’re are enjoying your summer. I know I am, I get to sit on the patio with my mom and feel the wind in my fur. And bark at people of course, until she quiets me down. But as much fun as summer can be, it also means more work outside too. People are mowing their grass every week, putting fertilizer down and taking care of compost piles. Did you know lawn care products can be harmful to your pet? Not to mention insecticides or fertilizers are toxic too. 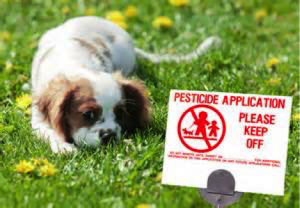 Not only should you be careful with what you put on your lawn because everyone plays on it (pets too), but those products need to be kept on a shelf out of reach of nosey dogs or cats. Other products to keep away from your pets are: fluids like antifreeze, citronella candles, cocoa mulch, or bug sprays of any kind. You know how we have the need to put our snouts where they don’t belong, so always make sure to keep items that could hurt us out of our reach. We’re pets, we will not stay out of the garbage or interesting bag or box just because you said so. But even if you take precautions, accidents can happen. So if you suspect your pet has gotten into something that could make them sick or worse, call Liberty Veterinary Hospital immediately 513-755-9700. The folks at LVH want to make sure you’re aware of toxic dangers and are prepared if something should happen. They even have a first aid kit item list on their website, liberyvet.net, so you are ready for whatever emergency needs your pet may need. So, until next week when I talk about more toxic dangers in the home, be sure to go to libertyvet.net under blogs/awareness newsletters/toxic awareness for the first aid list and more. Summer is the time of year everyone, including pets, spend more time outside. There are walks, picnics, barbeques and playing in the yard with the kids. No matter what you enjoy doing, there are precautions you take for your family to make sure they are safe, and that needs to include your fur babies. Did you know there are many plants that can make your dog or cat sick and some that are possibly fatal? I think most people know about poinsettias, but what about the ones you plant in your yard? They are more accessible to your pets and are easy for them to get to if they are part of the landscape. If you think your pet has eaten one of the above plants you need to call Liberty Veterinary Hospital immediately at 513-755-9700 or the pet poison helpline at 888-426-4435 (charges may apply). It is better to call and get information ASAP to see if ingestion causes mild symptoms such as vomiting, diarrhea, lethargy or drooling. They can establish whether it is safe to watch or keep at home or whether they need to be seen immediately. Pets can seizure or even die from eating some toxic plants. Don’t delay, make that call at the first sign of ingestion. Don’t wait to see symptoms. 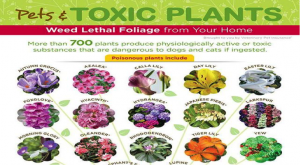 If you want to see a complete list of plants that are toxic please visit libertvet.net under blog/awareness newsletter/toxic awareness. Join me next week for more toxic dangers in the yard and your garage. Until then, have a happy and safe 4th of July! By now I am sure you are well educated on Liberty Veterinary Hospital’s PWP’s and KWP’s. Preventative services all in one package that makes taking care of your little one easier. The wonderful folks at LVH will even go over housebreaking and training techniques, and a proper diet for your fur baby. I told you, they just keep on helping! But if you haven’t gotten your kitten yet, be sure to look at LVH first. Their kitty adoption center includes cats and kittens from Animal Friends Humane Society. How awesome is that? All cats are spayed/neutered and up to date on current vaccines. 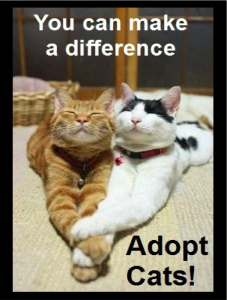 So, if you are looking for a new feline friend, be sure to call LVH and arrange a meeting with an adoption coordinator. Ok, new topic next week: toxic dangers. Yikes, that sounds scary! Guess we’ll have to come back and find out for ourselves. Until then, check out https://www.libertyvet.netfor more on kitty adoption. Adorable as we are we puppies, we are a lot of work. But we are sooooooooo worth it! And my friends at Liberty Veterinary Hospital are here to help with a preventative health maintenance plan for your dog. It all starts with a physical exam, parasite tests, and deworming. Vaccines start at 7-9 weeks of age, and spaying/neutering within the first seven months (before the first heat cycle). Just like my feline friends, the PWP includes some awesome perks as well. You will receive a puppy kit including great information, toothpaste and finger brush, a leash, and treats. There are also discounts on many services like the spay/neuter, microchipping and grooming for the duration of the one year plan. The services and values are endless (well it seems that way at least), so be sure to call LVH or go to www.libertyvet.net for additional information. It is too good to pass up! Come back next week for a recap of the KWP and the PWP, and a look into our kitty adoption as well. So, you’ve picked out your new kitten to bring home. Now what? 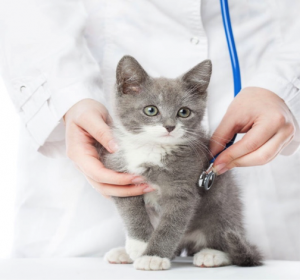 Don’t worry, Liberty Veterinary Hospital has everything you need in one amazing plan: The Kitten Wellness Plan . This plan covers preventative, healthy services your kitten needs in its first few months of life. Your feline will be able to get all the vaccines required at each age appropriate time between 7-16 weeks of age. But LVH doesn’t stop there. The plan also includes exams at every visit, parasite tests & deworming, as well as discounts on spay/neuter, dental cleanings, & microchipping. They’ll also give you a kitten kit (fun surprises in there), cat toy and a package of treats. You can’t beat that! Don’t take my word for it. Give LVH a call today, or go to www.libertyvet.net for more information on their Kitten Wellness Plan. Next week: Puppy Wellness Plans. We can’t forget my canine friends out there. They need some TLC too. Welcome back my furry and human friends! 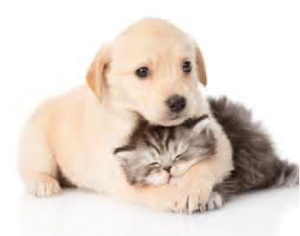 This month the fine folks at Liberty Veterinary Hospital want to let you know about their puppy and kitten wellness plans. 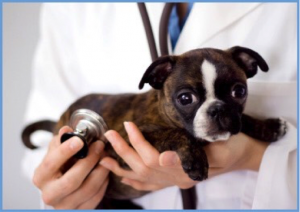 Just like babies, puppies and kittens need a series of vaccines in their first few months. Not to mention some extra TLC too. And who better than LVH to make sure your fur baby is healthy and gets all the preventative care they need. They are AAHA accredited after all! Find more info here! So, thinking of adding to your family or already spontaneously did? LVH has the wellness plan for you. Everything you need and more including a few discounts thrown in too. Come back next week as I give my feline friends first billing and talk about the Kitten Wellness Plan. Can’t wait? Then go to www.libertyvet.net for more information now. One of the biggest concerns for your pet in summer for your pet is heatstroke. Luckily for my feline friends out there, this usually isn’t a problem for them. But for all us canines, it is likely to happen if our owners don’t watch out for us. And the fine folks at Liberty Veterinary Hospital want to make sure you all know what to watch out for. After all, it doesn’t take much in the summer heat. If your dog is outside most of the day, be sure to keep plenty of cool fresh water available and plenty of shade. Dog houses or trees are good for that. We all know dogs love a good walk, but keep them to early mornings or evenings when the temperature isn’t as high. You may need to take water with you too, so we can drink along the way. And as obvious as this should be, NEVER leave your dog locked in car on a hot summer day. I think we all know how dangerous that is for young children and dogs alike. So do us a favor and just leave us home when you run errands. 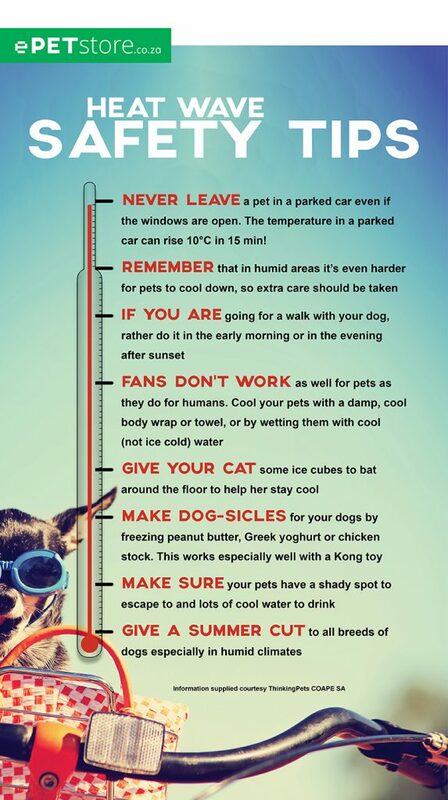 But even being a conscientious owner, sometimes we lose track of time or forget how the heat affects your furry friend. So here are some signs to watch for to tell if your pet has heatstroke: rapid panting, excessive drooling, vomiting or staggering. Heatstroke is an emergency! Be sure to call Liberty Veterinary Hospital if you see these signs so you can get help to your dog cool down properly. Join me next week as we review the summer safety items one more time. Until then, check out libertyvet.net for more detailed information on summer safety. Summer will be here before you know it! That means all of us will be spending more time outside – humans and pets. And the fine people at Liberty Veterinary Hospital want to help you keep your pets safe. 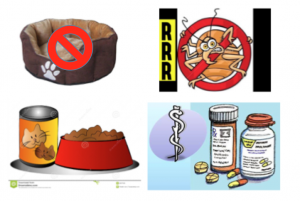 Just unscramble the words below to find out some things that are dangerous if ingested by your pet. They are items that can be found in your yard in the summer, used to cook or take care of your lawn, or plants. Good luck! How did you do? I am sure you did awesome! Bet no one had to look at the answers below either. Just remember, dogs and cats like to get into everything. I know that shocks some of you, since your pet is an angel. But you really do need to watch us much like you would keep an eye on your toddler. So keep those eyes open! If you want more information on summer safety tips be sure to check out libertyvet.net. Until next week, when I will return with a few more tips for summer gatherings. Who doesn’t like a nice walk or game of fetch? Even my feline friends can enjoy a walk outside, but in the hot summer weather you need to be mindful that heat affects us too. If you get thirsty, then we are too. Be sure to have water for us whether just hanging out in the yard or going for a walk. 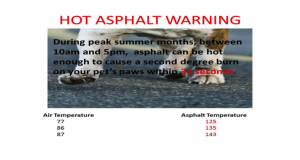 On walks you need to check the sidewalks with your hand to be sure it isn’t too hot for our paws. We typically do not have shoes on (unless we have a crazy owner) so the pads on our feet can burn. Early mornings or evenings are best for walking your pet. And if you’re just chilling outside with us, we need shade too. So please don’t leave us in the sun all day. Just remember if you’re hot and need water or shade we will too. We would even enjoy some pupsicles, ice or a good summer hair cut to help keep cool. 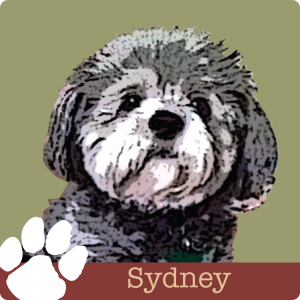 My friends at Liberty Veterinary Hospital can help with the grooming if your pet needs it. If you are lucky enough to have a pool or like to go to the lake, be sure to keep an eye on your pets around the water. Not all dogs like to or can swim. Sadly, I cannot seem to doggie paddle for very long myself so I am not a fan of water. If your pet does enjoy a good swim, be sure to give them a bath right after. Chlorine, salt, and bacteria can irritate their skin if not washed off. And if we lick at it could make us sick too. To review any summer safety tips, go to libertyvet.net. And come back next week for a more serious summer issue: heatstroke. You don’t want to miss that! *Bring cats in carriers labeled with your name. *Bring pets’ usual treats and food, know how much and how often you feed them or give them treats. *If your pet is on medication, bring the meds in the original container (helps the staff know what they are giving, & how to administer them). LVH will provide bowls and bedding for your loved ones. Pets can act differently here and chew their bedding. And pets should be up to date on their vaccines and free of parasites. Makes sense right? And smart too, in order to make it a safe environment for all who stay. So what are you waiting for? Give LVH a call today. Feel free to check out the rest of the check-in list at www.libertyvet.net. It will definitely help makes things go smoothly. Join me next week for dog training that LVH offers. I know, they do it all! But sorry my feline friends, this does not apply to you. It just means you are above training and are awesome as you are.